Knowing that Kyle Williams will be taking the field one last time for an NFL game on Sunday, it is going to be very difficult to root against the Buffalo Bills and for a higher pick. But…as I promised to do every week since being eliminated from playoff contention, I will outline the path for the Bills to move up in the 2019 NFL Draft. As of now, the Bills and Giants are tied for the 7th pick. If the season ended today, a coin toss would determine who would pick 7th and who would fall to 8th. Allow Joe Buscaglia of WKBW news explain the rooting interests and draft implications for you in this fantastic chart he made. In conclusion, the Bills can draft as high as 4th if they lose and all the teams on the left win tomorrow. If the Bills win tomorrow then refer to the right side of the chart where you can see the best and worse case scenarios. Thanks to Joe B for the assist this week. So long, Kyle! You will be missed!! 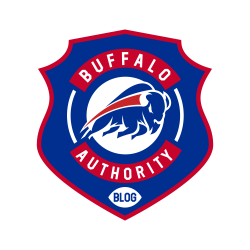 This entry was posted in Analysis, Game Previews, NFL Draft and tagged Bills, Bills Blog, Buffalo Authority, Buffalo Authority Blog, Buffalo Bills, NFL Draft. Bookmark the permalink.